Christina Candotti stands on second base at Grand Park. Photo by Jimmy Lafakis. For Butler’s spring sports teams, such as lacrosse, baseball and softball, who begin practicing during the unpredictable winter months, there is no guarantee that their fields will always be in proper condition to play on. The combination of snow and ice sometimes leaves teams with nowhere to practice. When pressed for space, Butler teams often turn to Grand Park, an alternative practice location 15 miles north of campus in Westfield. Opened in June 2014, it is visited by 750,000 people annually. Grand Park houses 31 soccer fields, 26 baseball and softball fields and the Grand Park Events Center, which has three full-size turf fields. Jonathan Byrd’s Fieldhouse, which was added in January 2016, features eight indoor courts used for volleyball, basketball and futsal. One of the advantages provided by the baseball and softball fields at Grand Park is they are a more realistic representation of Butler’s fields than other potential places to practice, such as local high schools. The complex spans 400 acres and is big enough to fit Indianapolis Motor Speedway, Lucas Oil Stadium, Victory Field, Bankers Life Fieldhouse and the Indianapolis Zoo inside all of it at one time. Last year, Grand Park had close to 1.2 million visitors and approximately 11,000 teams used its facilities, Grand Park director William Knox said. In addition to being used as a practice facility, Butler teams played games there under special circumstances. 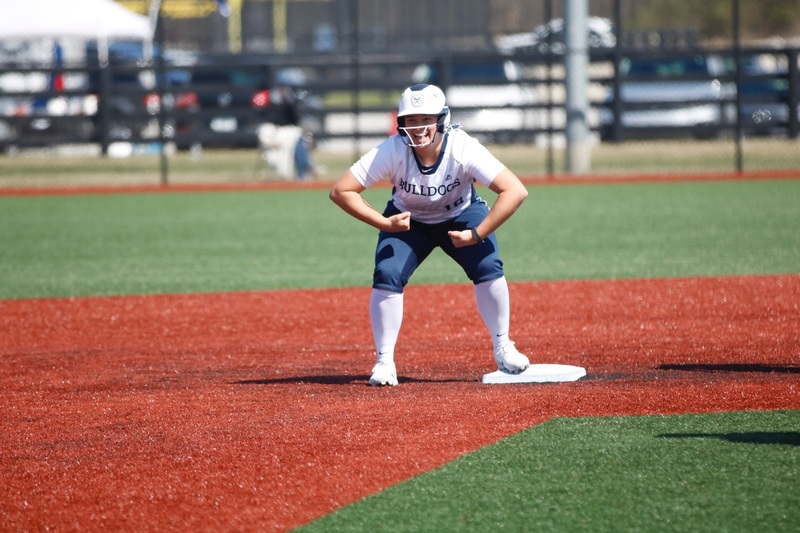 The softball team played a doubleheader at Grand Park on April 1, against Villanova University. Butler’s field was soaked by rain and Villanova had already scheduled a flight back to Pennsylvania so the only way to fit the game in was to move it to a different location. The women’s lacrosse team used the park in a similar situation for their game against the University of Denver on Wednesday, April 5. Lightning was in the forecast and both teams wanted the game to be played as scheduled, so arrangements were made to use one of the indoor fields in the Events Center. The park also offers benefits on the recruiting trail. The soccer, baseball, softball and lacrosse tournaments hosted by there give Butler’s coaches a chance to watch potential recruits as well as invite people to visit campus while they are in Indianapolis for games. Butler’s softball, baseball and lacrosse teams are not the only ones to take advantage of Grand Park’s facilities. On April 18, 2015, an exhibition men’s soccer game between Butler and Indiana University at Grand Park drew more than 3,000 spectators. Grand Park provided Butler’s teams with a backup plan when fields on campus can’t be used. When rain floods the baseball and softball diamonds or lightning prevents outdoor play, Grand Park allows the games to go on. If severe weather strikes again before spring sports seasons end, there is a good chance the Bulldogs would take the field at Grand Park.